In an increasingly complex, virtualized and software-driven world, customers rely on network vendors and service providers more than ever. 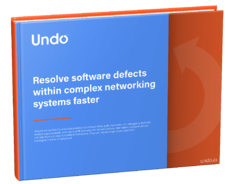 Networking organizations can no longer afford for their software to fail. Unfortunately, traditional methods of testing and debugging are no longer sufficient. But, there is a new approach.